Animal abuse as a predictor of abuse against humans has been documented extensively. Society TMs ever-rising violence has prompted experts to ask what alternatives are available to identify the early signs and stop the cycle. 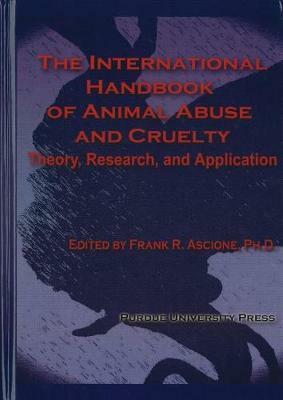 The International Handbook of Animal Abuse and Cruelty: Theory, Research, and Application is the authoritative, up-to-date compendium covering the historical, legal, research, and applied issues related to animal abuse and cruelty from scholars worldwide.